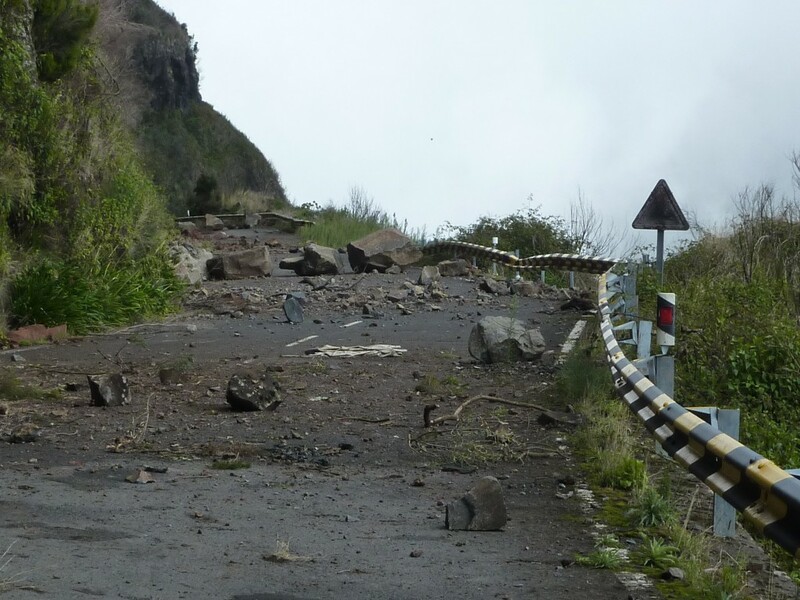 Good news for Madeira lovers who saw this sad scene (see photo above) in the last couple of years. The EN110 between Encumeada and Bica da Cana has been beautifully repaired, made safe, and reopened on 11 February. It’s really ironic to think back to the days when we first saw this road being built above our beloved Pousada dos Vinhaticos. We deplored the scars it was leaving on the landscape. Of course the greenery reasserted itself very quickly – as it always does on Madeira (there were no ancient laurel forests in this area) – and we came to love the EN110 which cut so much driving time off our trips out to the “far west”. So Car tour 5 can now be driven as intended, and it will be so much easier to get to Walk 31 and Picnic 31 – to say nothing of Alternative walk 33. The Sunflower team is really looking forward to our upcoming visit later this year! This entry was posted in Madeira. Bookmark the permalink.